The completed sculptures are encased in a silicon rubber that will capture every detail of the original. 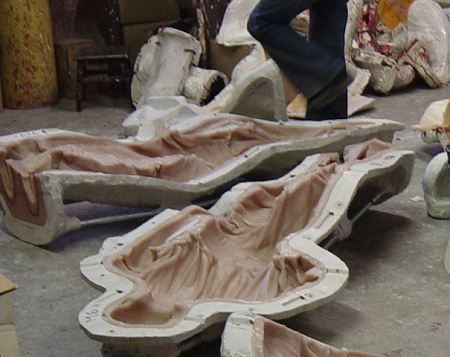 Here you see Large Art Company owner, Richard Rist prepping the rubber molds for plaster. 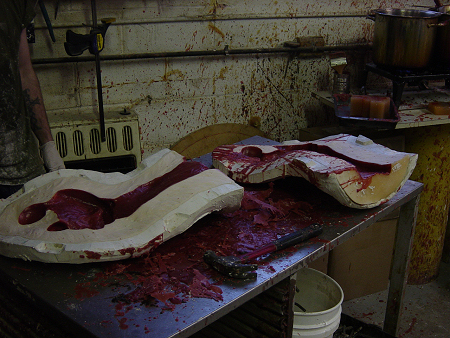 The rubber mold is then covered in plaster to provide a rigid outer shell for the rubber mold. 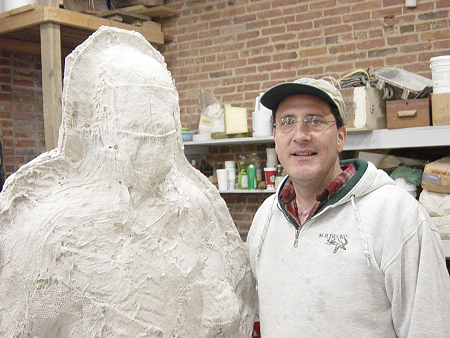 Richard Rist with the finished plaster mold. 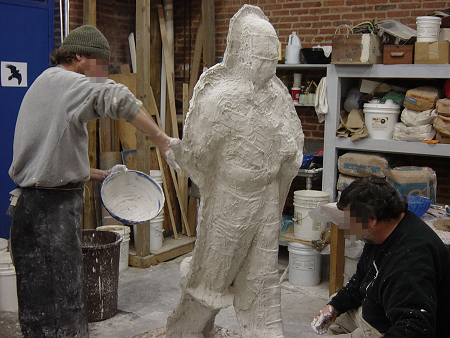 Wax replicas of the sculpture are made using the rubber molds. 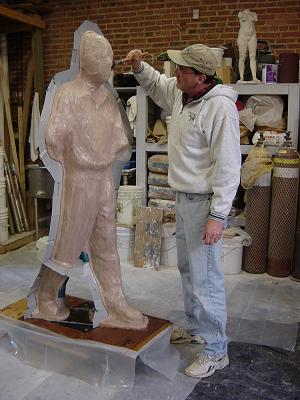 The wax sculpture is assembled and hand detailed by very experienced artists. The picture on the left shows the wax sculptures before hand detailing. Notice the flakes of wax at the seam between the front and back molds. 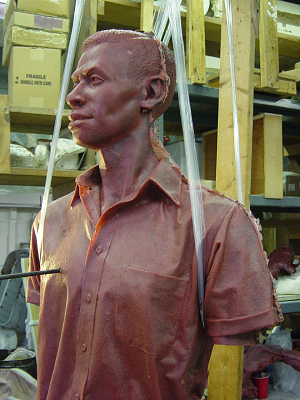 All this and every surface of the wax sculpture will be hand detailed by very skilled artists. Note the completed wax on the right. 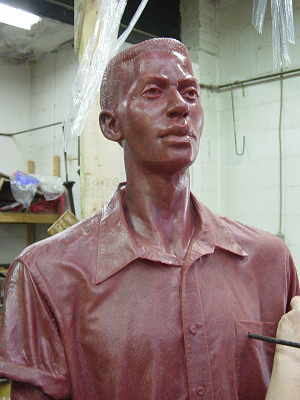 Every detail you see here will be replicated in the finished bronze sculpture. Clinton, TN City Manager Steve Jones comes to Baltimore to review progress with his own eyes. 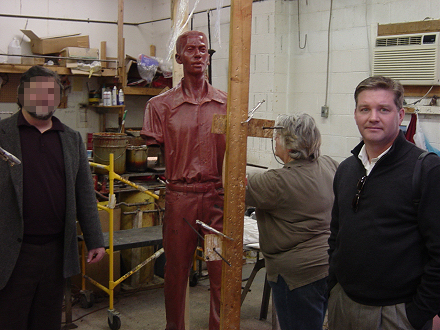 Steve Jones (right) during his visit to New Arts Foundry in Baltimore on January 3, 2007. A wax sculpture is in the background. Once hand detailing is complete the sculpture will be cut into sections for the next step of creating the ceramic casting shell from the wax. The wax sculptures are cut into pieces and wax gates and pouring cups are attached. These will be used later for pouring the molten bronze.